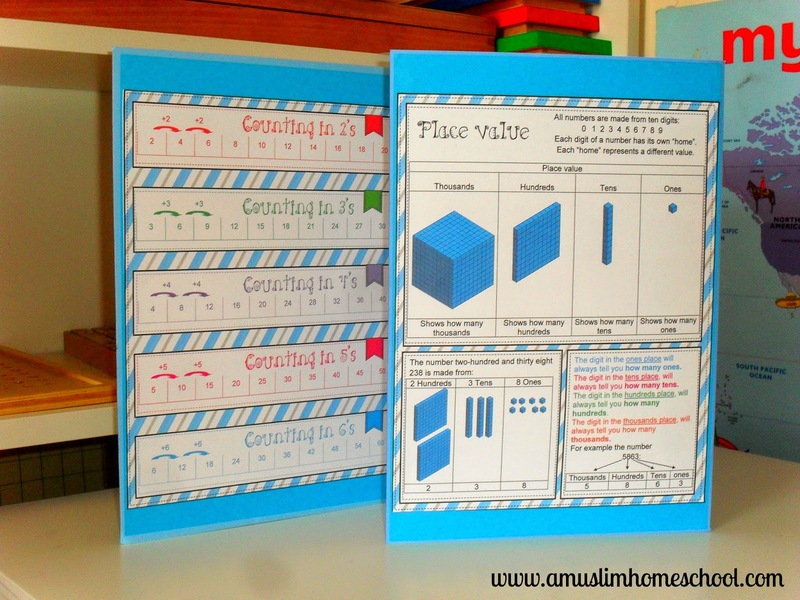 a muslim homeschool: Counting and place value mini-office! 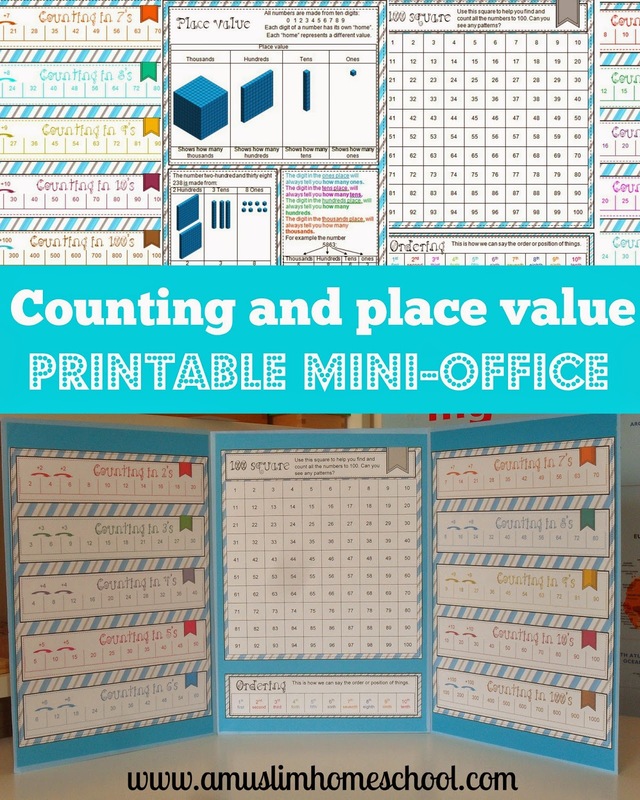 Counting and place value mini-office! I don't internet surf as much as I used to when I started out home-edding 3 years ago, but yesterday I was doing just that. 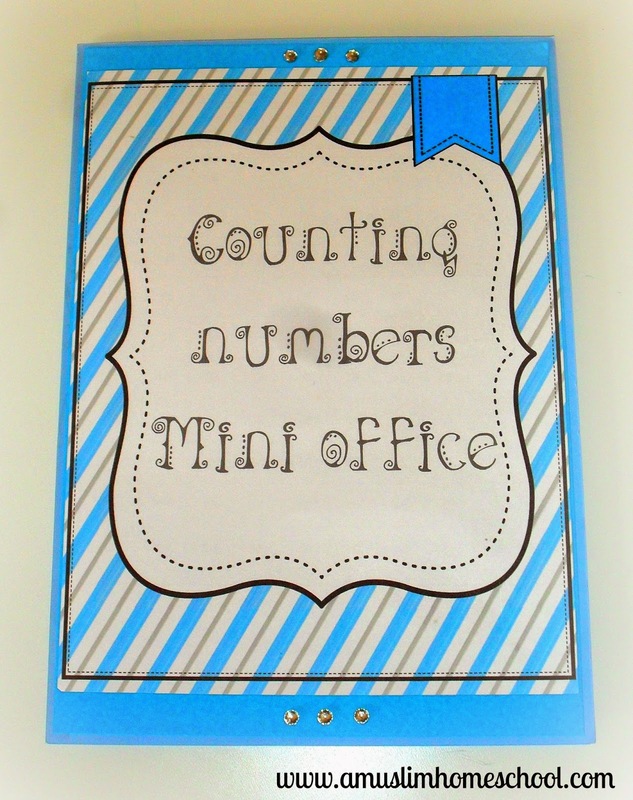 Checking out some American homeschooling blogs, and I stumbled across something called "mini offices". Maybe everyone else knows about these mini-offices and I am the last to pick up on it....whatever the case, I think they are awesome Alhamdulillah, and are great for school kids to give help with homework as well as home-schoolers!! For those of you who like me, are new to this world of mini-offices, basically, its a resource which your students can use that is packed full of useful information about a particular topic or subject. So for example, you might have a literacy mini-office that will include points to remember when writing.....constructing sentences, paragraphs, grammar etc etc. These mini-offices can be ready assembled for your children as a resource or perhaps for older kids, they could make their own! I know how easy it is to spend money of resources which are overpriced and mostly, are hardly even used! Something like this is great, because you can cheaply pull together the fundamentals of any given topic and throw them together in this kind of format, and it won't even take a lot of space to store away when not in use! 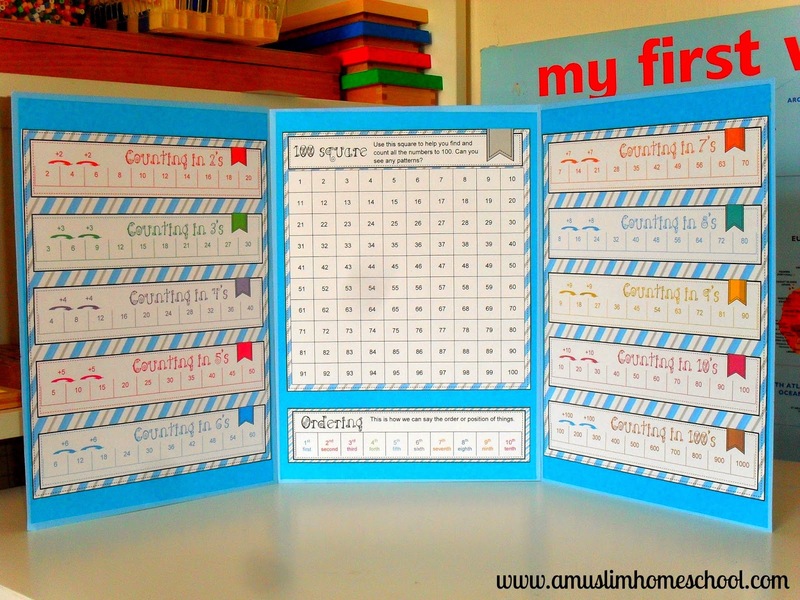 To get us started, I have put together a very simple counting and place value mini-office that can be used to help our numeracy lessons inshaAllah. As this is my first attempt at a mini-office, I am giving this one away as a free download Alhamdulillah! Counting in 2's to 100's, a hundred square, ordering and place value explained. Its entirely up to you how you want to put it together - file folders would be great for this. What I did was tape together 3 sheets of blue A4 card (to produce a tri-fold stand) added a darker blue paper, before cutting out the information pieces and sticking on top. To prevent wrinkles, I printed onto thin white card (45 sheets from one of the pound stores) and stuck all the layers together using double sided tape. You don't have to do what I did, you can of course just print out onto card and not cut out the individual elements, instead just taping each A4 printed sheet straight together down the sides to have your tri-fold office, or like I said a file-folder would be ideal and less time-consuming to assemble! I just like to make things a little extra cute! Find a Muslim Homeschool on facebook!